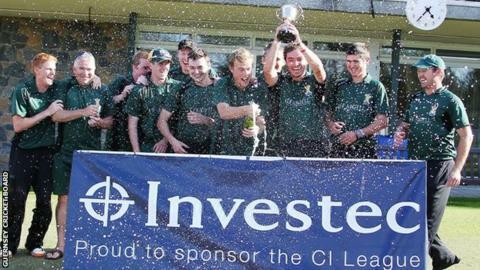 Support has grown for the return of the Channel Islands Cricket League. The league was scrapped in 2012 after concerns over travel costs and mismatches between some of the teams. But cricket authorities in both islands have discussed reintroducing the tournament as the number of domestic sides playing one-day cricket falls. "I have long wished to reinstate meaningful cricket between island club sides," Jersey Cricket Board chairman Ward Jenner told the BBC. "It brings different players and characters to the game, different conditions and surfaces, all of which are key to any cricketer's development. "It needs to be supported, financially viable and logistically feasible then should, in my opinion, have the full backing of participants and potential sponsors." Guernsey only has three sides - Griffins, Cobo and Wanderers - playing one-day cricket, while Jersey has four but a number of games have been called off due to a lack of players. "It's a good opportunity to play against more teams in different locations," Stokes told BBC Radio Guernsey. "You play teams who you wouldn't usually face and you have to adapt to those wickets and hopefully it'll be a good tournament." Hooper added: "We've only had three teams in the Guernsey Premier League, but if we can partner up with Jersey that adds another four teams so it makes a seven-team league. "You're not seeing the same old faces week in week out."